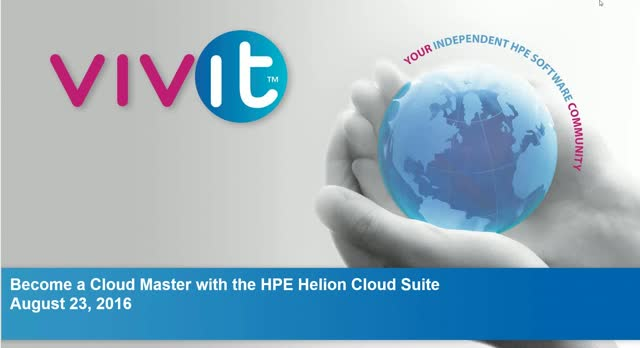 In our first Helion Cloud Suite web event, we introduced you to the new software suite from HPE that brings together a full range of hybrid cloud capabilities, enabling you to deliver and manage the full spectrum of applications and technologies -- from traditional, virtualized, cloud native and containers -- across a broad range of infrastructure environments. More than just a hybrid cloud management platform, the HPE Helion Cloud Suite can help you manage any cloud, any environment, and any technology for any application. Go beyond cloud management, and learn what it means to become a cloud master.